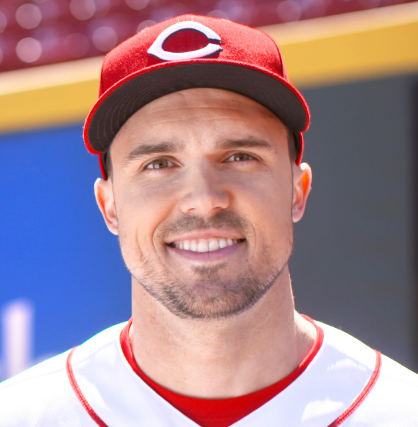 Adam Lynn Duvall is one of the popular professional baseball left fielder who is famously named as Adam Duvall. He plays as first baseman for Atlanta Braves of Major League Baseball. He is well known American celebrity. He is famous for contribution to professional life. He is best at left fielder position. Currently, he is playing in Atlanta Braves. He is best in bats and throws in the right position. He is a very talented baseball player. 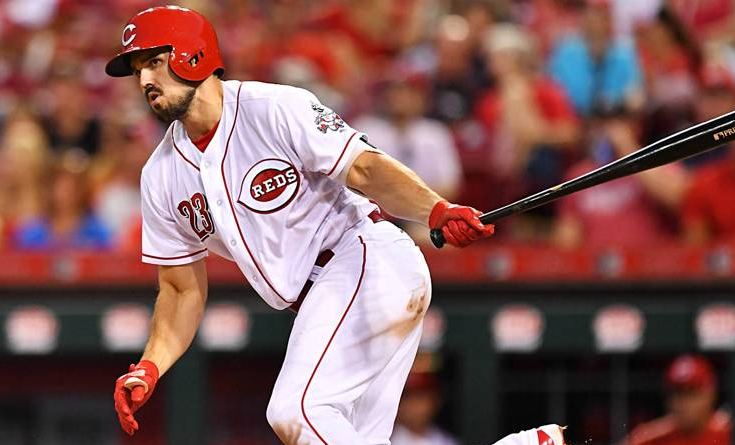 Passionate and enthusiastic baseball player, Adam Duvall was born on 4th September 1988. He was born and raised in Louisville, Kentucky the city of United States. His full name is Adam Lynn Duvall. He is the son of Alvin Duvall and Jeana Duvall, his father, and mother. His nationality is American. His astrological sign is Virgo. He belongs to White ethnicity. At the very small age, he began his career with baseball. He played baseball at Butler High School. He went to play college baseball at Western Kentucky University, Chipola College and the University of Louisville. Turner has got a great personality. Talking about his body, his height is 1.85 m. His weight is of 93 Kg. He has a balanced body with good health. He has an attractive body figure. His smiling face and charming personality have helped him to gain the attention of all the viewers. In the year 2010, he was drafted by the San Francisco Giants in the 11th round of the 2010 Major League Baseball Draft and he made his professional debut by signing with this team. In the year 2011, he played with the Augusta GreenJackets where he slashed .285/.385/.527 with 22 home runs and 87 RBIs in 116 games. In the year 2012, he played for the San Jose Giants where he batted .258 and led all Class A players with 30 home runs along with 100 RBIs. In the year 2013, he played with the Richmond Flying Squirrels, tallying a .252 average, 17 home runs, and 58 RBIs over 105 games. In the year 2014, he played with the Triple-A Fresno Grizzlies. Later in 26th June 2014, he was called up to play majors and to play first base, alongside Travis Ishikawa, Buster Posey, and Michael Morse. In the year 2015, he played with the Sacramento River Cats. In the same year of 30th July, he was traded to the Cincinnati Reds. On 31st August, he was called to play in this game and made his team debut. Altogether, he played 27 games with Reds. In the year 2016, he was included on Reds opening day roster. He was also selected to the 2016 Major League Baseball All-Star Game. Duvall hit his first career grand slam as the Reds won 9–3 over the Baltimore Orioles on April 18, 2017. Duvall hit his first career walk-off home-run off A.J. Ramos against the New York Mets to give the Reds a score of a 2-1 victory on May 9, 2018. Later, on 30th July 2018, he was traded to the Atlanta Braves. Adam is a very secretive person. He kept his private life very secret. He has not revealed about his relationship to the media. He may be single and maybe he has a girlfriend. He is focusing on his career than in a relationship. He was diagnosed with type 1 diabetes in the year 2012. The net worth of Adam is estimated to have $2,000,000 in 2018 with all of his properties and incomes. He is receiving an annual salary of $510,000 from his present club. This excellent player makes good money from his work. He is satisfied with his earning.